The special event “Halloween Horror of Nights” held on Universal Studios Orlando on 2015 from September 18th to November 1st on selected nights promise to be on 2015 better that ever with 9 houses of terror, special characters, scare zones, live shows, and the possibility to ride your favorite attractions which will be open on the extended schedule in which will be open to the public. 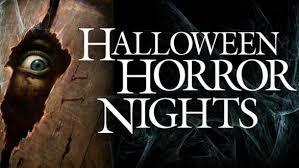 The Universal Studios Halloween Horror of Nights is a event that requires separate admission to the theme park and specially design for teen and adults. 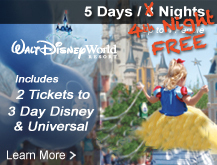 At Orlando Discount Tickets USA you can get discounted tickets and discounted getaways that start at $169 with 4 days 3 nights’ hotels and 2 admissions for the theme park. *Get your admission before get to the theme park because the tickets are not available at the front gate. *Arrive early so you don’t have to wait a lot of time in line to make your admission for the Universal Studios Horror of Nights. *Event is not for children, the character apparitions and the special effects are very scary. *Besides the separate admission to the event if you don’t want to lost the Haunted Houses is better get a Halloween Horror of Nights Express Pass, however they are usually are sold out fast. * Even is a Halloween event is not allowed wear customs. *Respect the Halloween Horror of Night performers, otherwise you may be asked to leave the park with out re-admission. * The most popular attractions during the event are the Haunted Houses, but is not realistic you will be able to visit all of them with only one night admission, so check on the map of the events and check the ones that you don’t want to miss. 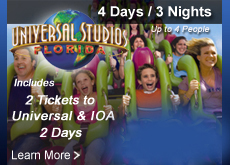 Visit Orlando Discount Tickets USA to check great discounted vacation packages and discounted admission for the theme parks.